NOTICE: Activation key must be used on a valid Steam account. Requires internet connection.ABOUT THE GAMEYou've just unearthed the classic post-apocalyptic role-playing game that revitalized the entire CRPG genre. The Fallout® SPECIAL system allows drastically different types of characters, meaningful decisions and development that puts you in complete control. Explore the devastated ruins of a g… olden age civilization. Talk, sneak or fight your way past mutants, gangsters and robotic adversaries. 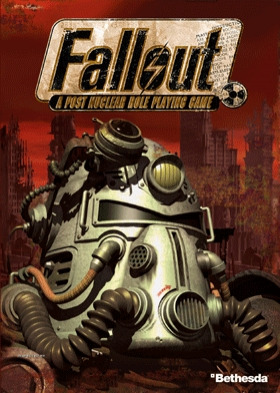 Make the right decisions or you could end up as another fallen herin the wastelands... SYSTEM REQUIREMENTS Windows 98/Me/2000/XP/Vista/Seven Pentium-90 16 megs of RAM DirectX 3.0a or 5.0 SVGA DirectSound compatible sound card Fallout®, Fallout® 2 and Fallout® Tactics are trademarks or registered trademarks of Bethesda Softworks LLC, a ZeniMax Media company, in the U.S, and/or other countries. All Rights Reserved.